Jaguar Land Rover’s owner, Tata Motors shocked markets by posting the biggest-ever quarterly loss in Indian corporate history of about USD 3.8 billion, Reuters reported. 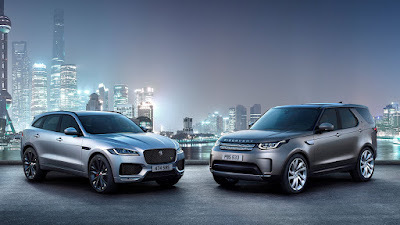 The loss is attributed to the Jaguar Land Rover unit which posted weaker than expected sales, especially at the biggest automotive market in the world, China. JLR’s retail sales in China were cut almost half in the last quarter of 2018 as the auto market there contracted—the first time since the 1990s. JLR is also hit by a weaker business for diesel cars which accounts for the bulk of its sales in Europe and worries surrounding Brexit. The Indian carmaker also warned that JLR, which brings in most of its revenue, would swing to an operating loss for the year versus an earlier projection it would break even, given weak sales at the luxury British carmaker. In order to arrest the slide, Tata says they’re not taking clear and decisive actions to step up JLR’s competitiveness, reduce costs, and improve cash flows. In China, for instance, it has changed its strategy to focus on profits for dealers instead of sales and incentivizing retail sales over wholesale. Plus, JLR is confident that continued demand for the refreshed Range Rover and Range Rover Sport as well as the deliveries of the all-new Evoque should help them build momentum.